When her eccentric parents suddenly move their family to a new home, an insecure girl discovers the downside of changing herself to fit in. I suppose they're all saying I messed up. Yes, well, I'd like to see you cope any better if you had a family like mine . . .straight out of Crazyville. Getting plucked out of school, uprooted from your city home, separated from a loyal friend, and plunked into the boonies to be homeschooled is hard enough. Add to that a seriously weird family — Dad, the convention-flouting writer; Mom, the scatter-brained inventor; and gross younger twin brothers — and eleven-year-old Becca is sure she will never find another friend, especially if she reveals that she has diabetes. 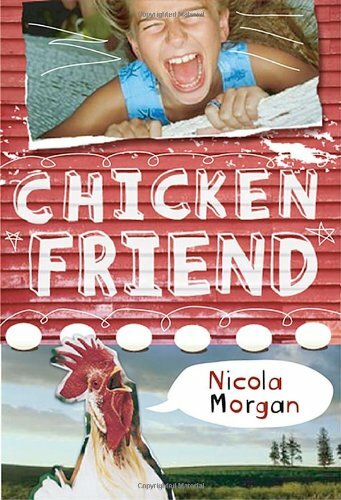 Just when it seems her pet chickens are destined to be her only confidants, Becca meets up with a cool, super-trendy pair of girls who not only want to be friends but also invite their whole gang to Becca's twelfth birthday party, which her parents are letting her have in the empty barn (no grownups allowed). Life is finally looking up — so why does Becca have the nagging feeling that things are about to spin out of control? Nicola Morgan is the author of many books for children and young adults, including MONDAYS ARE RED and FLESHMARKET. This is her first book with Candlewick Press.